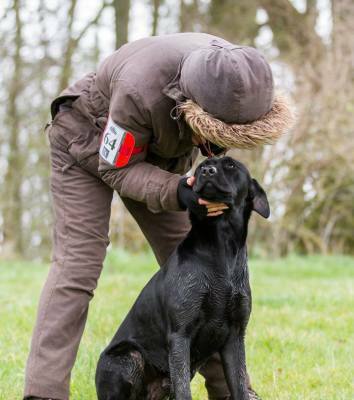 Labrador Retriever Club welcomes new members no matter if you are just starting out with your first Labrador, want to start showing or you are interested in our working tests or field trials. If you would like to join, please send your application form together with the subscription fee to the Membership Secretary. An application for membership cannot be considered unless a proposer and seconder are named, these people being paid-up members of the Club. If you perhaps do not know anyone in the Club, please get in touch with Geraldine Thompson our membership secretary who will be able to help. Please note that subscriptions for membership are due 2nd January each year. This includes postage in the UK, airmail to Europe and surface mail outside Europe. If airmail is required outside Europe Please add £5.00. An annual Year Book is included in the cost of your membership. Cheques, postal orders, bank drafts and international money orders can be accepted and should be made out to the "Labrador Retriever Club" and must be in £ sterling. Cash notes acceptable in any currency but unfortunately we cannot accept Euro cheques, foreign coins or credit Cards. If preferred one payment may be made to cover several years membership, or more than one member. Please notify the Membership Secretary of any changes to your address, telephone number or affix.